How many movie franchises can generate enough interest to dedicate an 18 hour live stream to unboxing toys? For that matter, how many of them have the power to have an entire day dedicated to the release of said toys? The answer is of course one, and that is Star Wars. Force Friday has so far seen Star Wars: The Force Awakens toys fly off the shelves in their droves, with experts – and pretty much anyone with a lick of common sense – predicting that Disney stand to make billions from just this wave of merchandise alone. The $4 billion the studio forked over to George Lucas for Lucasfilm doesn’t seem so bad now, does it? 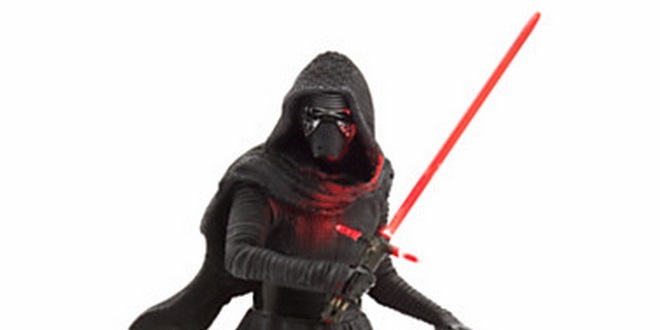 Of course, while some of these Star Wars: The Force Awakens toys are downright amazing, others are pretty terrible. With kids and adults alike desperate to get their hands on these, which are the most essential and which should probable never have been made? If you’re looking for more of a display piece than an action figure, then you can’t really go wrong with this Kylo Ren statue from The Disney Store. Limited to only 700 pieces worldwide, the villain’s cross-hilt lightsaber actually lights up, making this a stunning looking item to have on display (especially at night time thanks to that sinister red glow). It’s a little pricey at £110, but the level of detail is undeniably impressive, and it appears to equal what we’ve come to expect from Sideshow Collectibles. Of course, if this is slightly out of your price range, there are a plethora of Kylo Ren action figures available which will still look pretty cool displayed on a shelf. This one tops them all though, and is a real must-have.